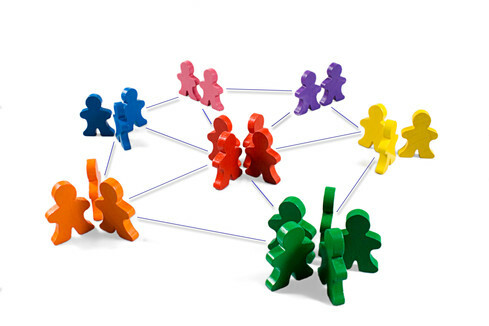 We all know that networking has become a huge part of the modern day job search. Who hasn't heard the phrase that "it's all about who you know"? There is definitely some truth to this - especially with the competitive job market out there. It's crucial that you have a network who can not only provide you with valuable information about your prospective career, but may also be able to inform you about upcoming opportunities. So what is the right way to network? Attend a Networking Event such as a Career Fair, an event hosted by a company/organization you're interested in, or an event held by your Academic Faculty. Our annual Career & Post Graduate Expo is held every November, and is a great way to meet professionals who are in you're field and currently hiring. Set up an information interview with a professional who is currently in your career of choice to gain more information about their position and working environment. By being enthusiastic about speaking with them about their career, they will likely keep your name in mind should opportunities arise. Utilize social media to your advantage. Be wary that your Twitter and/or your Facebook account may be able to be seen by professionals - so tweak your privacy settings or make your profiles more acceptable for anyone to view. LinkedIn is a great online networking tool that many professionals now use to recruit candidates for open positions, as well as build their professional network. Create and maintain your profile as you would a resume; you never know who you'll end up connecting with! Start sharing your career objectives/job search goals with everyone. By getting the word out that you're looking for work in a specific field or that you're interested in a certain occupation, the people you know may be able to connect you with someone who can help you find what you're looking for. Don't underestimate the power of networking! Remember that networking alone is a great way to connect with employers and learn more about your chosen field, however it must also be done professionally and with the correct etiquette. Stop by the Career Resource Centre for tips and tricks on proper dress, communication etiquette and manners over the phone or by email. Also try to keep a list or log of the people who you have networked with regarding a job opportunity or career information - you might need to look them up in the future and it will sound a lot better if you have a name on hand! it's really great idea i think this is the best!